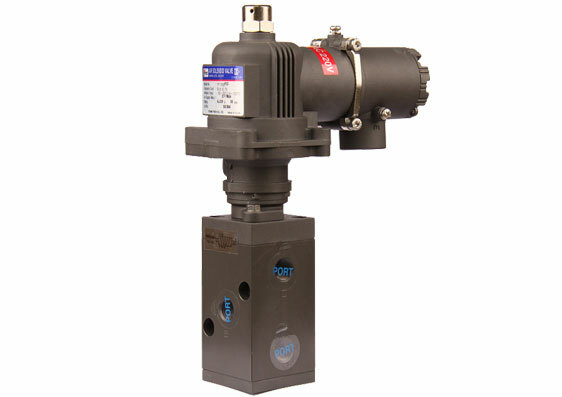 Explosion proof type 3way solenoid valve, YT-720S series outputs pressure to valves or changes output port direction. 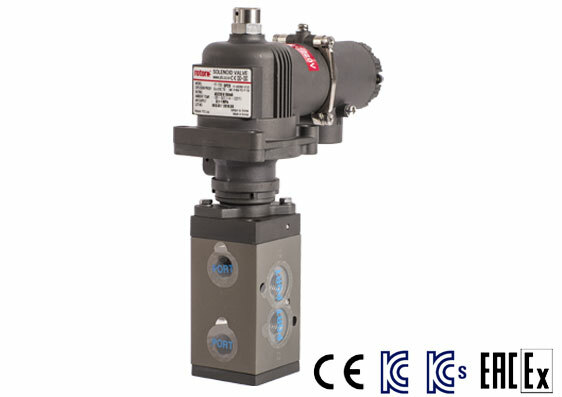 Explosion proof type (ExdIICT6) solenoid valve. Replacement of coil is easy due to AC and DC applied in same enclosure. Manual switch enables user to test the operation when the power source is cutoff. Connecting wires are easy because connection port can be rotated (265°). Valve body is air pressure operating type, so the operation is very smooth with high durability. Can be directly attached on actuator, because of NAMUR type design. Coil assembly can be rotated.